St. Patrick's Day is serious business in New York City. 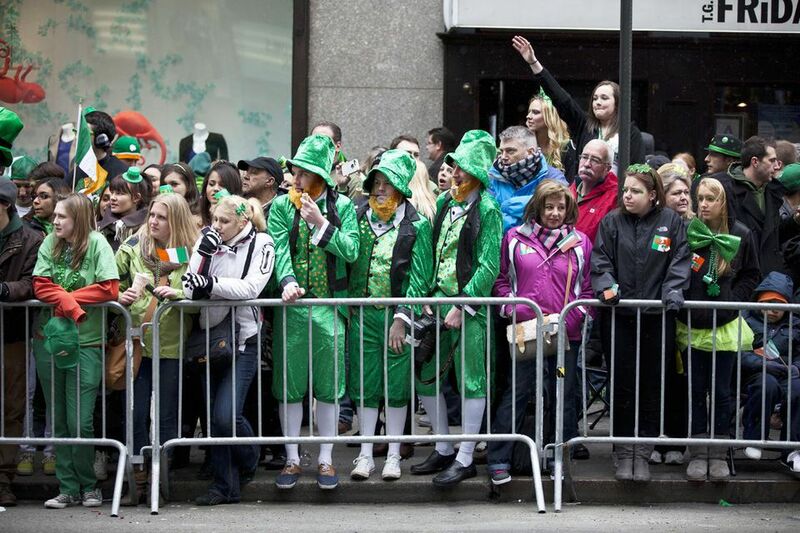 Even New Yorkers with no Irish blood wear green, drink Guinness and Jameson, and attend the St. Patrick's Day Parade. History of the New York City St. Patrick's Day Parade. The latter is a big deal. The first official St. Patrick's Day Parade in New York City was held on March 17, 1762. That was 14 years before the Declaration of Independence was signed. It's the oldest St. Patrick's Day Parade in the world - even older than celebrations in Ireland. Today the parade is still held in honor of St. Patrick, the Patron Saint of Ireland and of the Archdiocese of New York. It goes up 5th Avenue from 44th to 79th Streets. Floats or automobiles aren't permitted. All the entertainment comes from likely marchers. There are over 150,000 participants every year. They march, sing, and play instruments to make the holiday. Many wear traditional Irish clothes. The atmosphere is jolly; you can feel the happiness all day long, way after the parade is over. In 2019 it's going to be even bigger because actual St.
Patrick's Day falls on a Sunday when everyone is off of work and ready to play. The march is organized and run solely by volunteers. Many families have been working on the parade for generations. Participants come from all over the globe to be part of this time-honored tradition. The parade takes place every year on March 17 (If that date falls on a Sunday the parade is moved to the Saturday.) It starts at 11 a.m. sharp. The best viewing spots - places that are less crowded - are on the north end of the parade route, closest to its ending spot on 79th Street. The parade is over by 2:00 p.m. or 3 p.m. Its advisable to show up early in the morning to get a good standing spot. One fun area to be is close to the grandstands between 62nd and 64th streets. There the marchers do dance, singing, and other musical performances for judges. While you need a ticket to access the bleachers, you can wake up early to secure a spot close to the action. The crowd is densest at St. Patrick's Cathedral and in the area immediately around there and tends to lessen as you move north along the parade route.